Need a warm, soothing drink to enjoy on a cold fall evening? This Caramel Apple Cider will warm you right up! Now that the crisp, cool, fall air is here, I can’t stop craving everything “fall.” From sweaters to boots, pumpkin muffins to apple cider, I am into it! 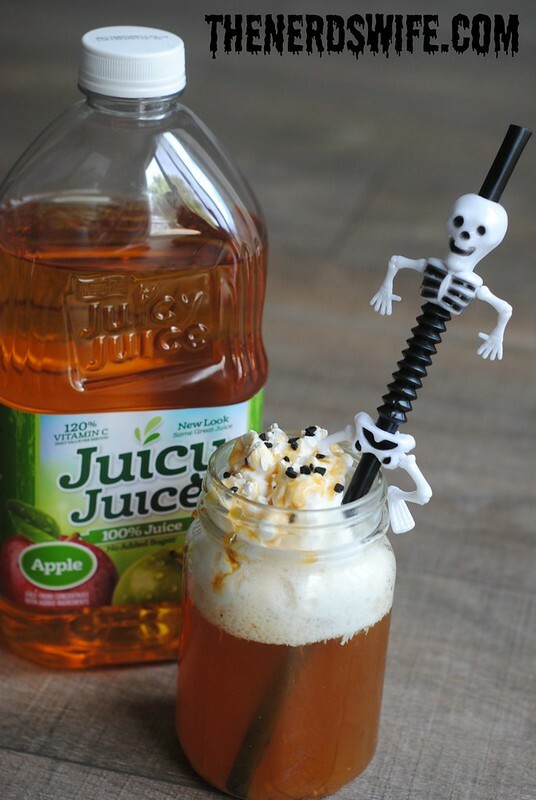 When Juicy Juice asked me to share a fun fall recipe with you, I knew right away my favorite apple cider recipe would be perfect. I just can’t get enough. 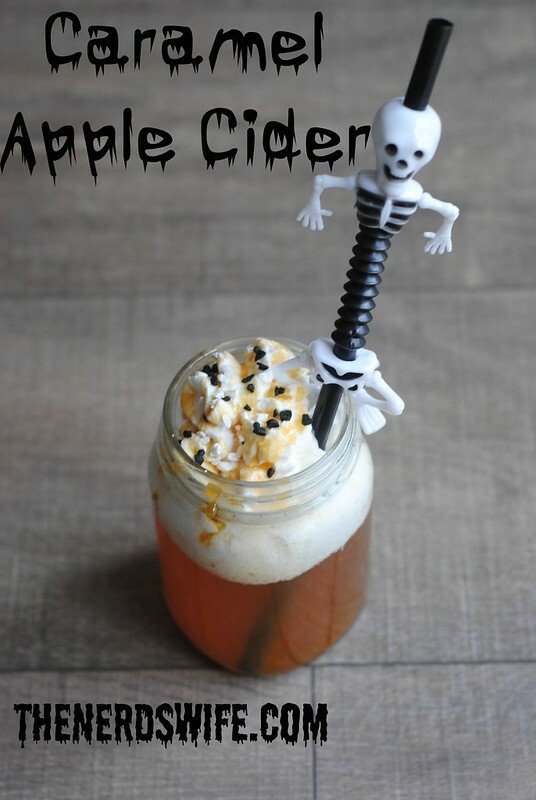 Because of its simplicity, Caramel Apple Cider is one of my favorite drinks to share with my friends and family for Halloween. 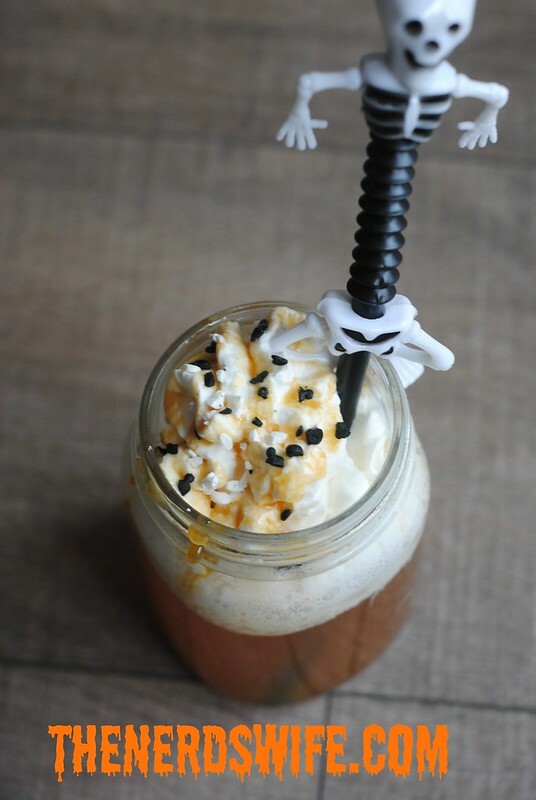 Its rich flavor and color makes it the perfect refreshment at our playgroup Halloween party. The moms always go crazy for it! Place a saucepan over medium-high heat; add water, brown sugar, and white sugar. Whisk until sugar dissolves, 3 to 5 minutes. Whisk cinnamon into sugar mixture until incorporated. Continue whisking mixture until just before boiling and syrup-consistency, 3 to 5 more minutes. Remove saucepan from heat and stir in vanilla extract. Cool syrup completely, at least 1 hour. 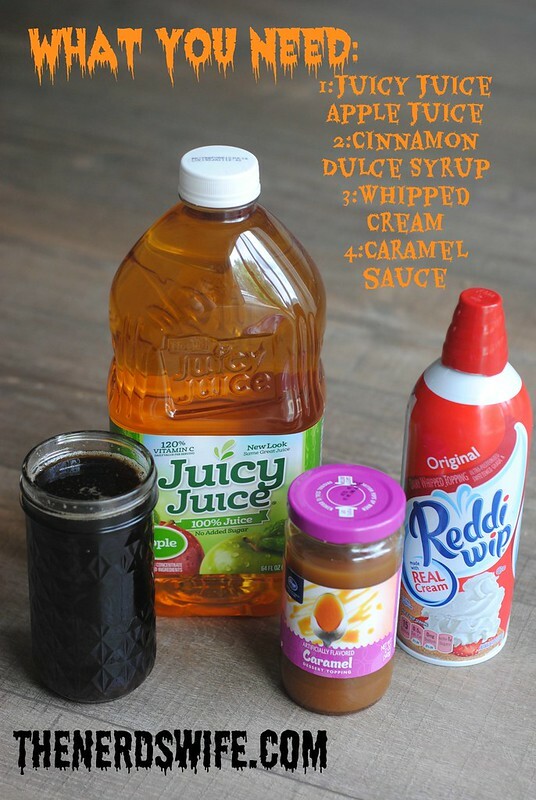 Pour syrup into a glass container and seal; store in refrigerator for up to 10 days. Now it’s time to make your Caramel Apple Cider! Combine dulce syrup and Juicy Juice apple juice in a microwavable cup and heat until hot (1-2 minutes). Top with whipped cream and caramel sauce. What is your favorite treat to enjoy around Fall and Halloween season?